With an average of 24* Celsius, the months of December, January and February can be some of Wanaka’s busiest times. The blue skies and warm temperatures bring loads of kiwi and international travellers to Wanaka. They come complete with their tents, boats, campervans, caravans, fishing rods, water skis, picnic gear and more. And they lounge in the sun on the beaches, boats and grassy spots -enjoying what Wanaka has to offer. 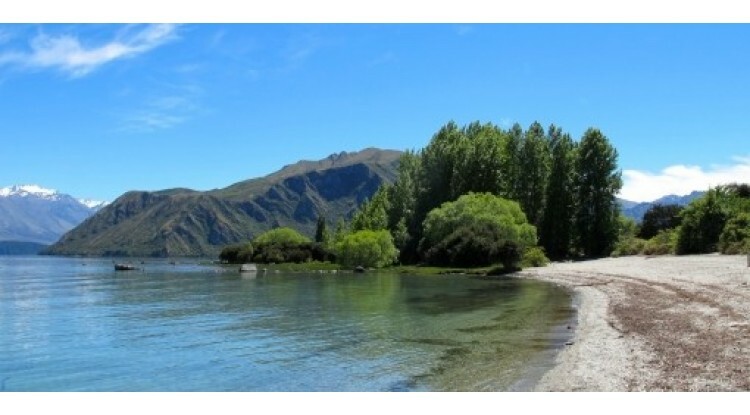 With plenty of things to do apart from just basking in the sun by the lake, Wanaka makes for an ideal summer location. There is canyoning, swimming, jet boating, fishing, mountain biking, hiking, rock climbing, sky diving – the list just goes on. The long summer days give you plenty of time to maximise, with the sun rising shortly before 6am and setting after 9pm, there is really no excuse. So, give Wanaka a chance over summer, but be careful! Don’t use up all your holiday time, make sure you save at least a week to use during Wanaka’s ski season! Why come to New Zealand to Ski during Spring? Skiing for the first time. Snowboard for the first time.